The Voyage Out Book Group has been meeting for a decade now, and it has been a blast. We choose books in three-month chunks. Three months of novels from Japan. Three months of novels from the American South. Three months of novels from the Balkans. The reason for these chunks? We wanted to find a way for conversations to build over a longer period, and not just during a two-hour discussion. It has worked to varying degrees over the years, but the goal remains sound. Books and Literature are conversational. They are interactive. Readers should embrace that social aspect of this art form. Last month (September) The Voyage Out Book Group finished off a chunk of books set in France that all had something to do with love. We called it our Summer of Love—French Edition. 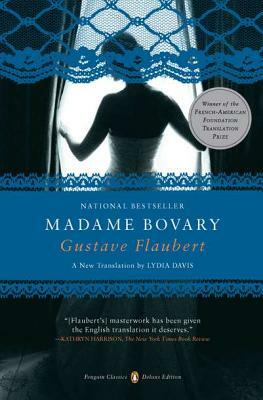 The final book in the trilogy was Gustave Flaubert’s Madame Bovary. The beauty of reading this book as a group is that it’s so canonical that the conversation has already begun, even before you read the first paragraph. It’s difficult to come to the book blind. You might expect it to be tawdry, or you might have some idea about French Realism, or you might have heard something about the long, ornate descriptions, or you might have heard a hundred opinions from a hundred folks, and all of this leads to something wonderful – an interactive experience. An experience that bumps up against other minds. Minds that can include James Wood, or Karl Knausgaard, or your High School English teacher, or the avalanche of online reviews. So many minds unpacking the same text leads to a multi-dimensional reading. The canon is an odd thing, and if pushed to something that resembles an opinion, I tend to think that there should be a set of texts that we can all agree to use for universal conversations. I also think that our current canon needs to be expanded towards more diverse voices and experiences and styles and perspectives. But, I do think there is value in having conversation building texts that we can all come to when we want to see not just what we think, but to help us see how others are thinking, too. The Voyage Out Book Group now starts a new conversation, and it’s even more dynamic (I think) than the one we had with Flaubert’s canonical novel. This chunk of books all derive from the artistic tradition of adaptation. * October 28 – Ahmed Saadawi, FRANKENSTEIN IN BAGHDAD. This book pulls from Mary Shelley’s classic horror story. * November 25 – David Paul Duncan, THE BROTHERS K. Mr. Duncan takes on Fyodor Dostoevsky’s novel THE BROTHERS KARAMAZOV. * December 30 – Donald Barthelme, SNOW WHITE. It’ll be interesting to see if Donald interacts with the Brothers Grimm or with the Disney version of the story of Snow White…and just where do the dwarves come in! Books are invitations to conversations. Whether you are conversing with a character or an author or with a mountain of Lit Crit or with a group of nerdy readers in a quiet third floor room at your local bookstore, those conversations are what makes reading social. It’s such an incredible thing to be a part of. Please come join our conversation. We meet the last Sunday of each month at BookPeople. See you soon.